Yum yums never get old. And I am so easy to please--the other day the family and I made caramel apples, and they turned out so yummy...and beautiful! Don't they just look gobble-worthy? For these apples all we did was melt the caramel cubes with a little bit of water over med-high heat I think, and have plates of the toffee bits, M&Ms, and choco chips set by it. We had the apples scrubbed and ready with their forks piercing their insides already. We had a length of wax paper ready too. So when the caramel was melted, we amply rolled the apples in, and rolled it in the candy we wanted--then just let the apples sit on the wax paper for awhile. They were so good.... Wish I could have another one. My work on my poetry collection and M&M novel is going well. Struggling with the novel, with certain details--but that's nothing new. It's requiring a good deal of research. Travel tales. Things I think I can take inspiration from. Sometimes it's a bit overwhelming, but I know it will be worth it! And I'm loving how the story is turning out--although of course moaning and groaning on the extra work it's causing me--and I'm still wondering how on earth I'm going to manage to finish by next spring with me realizing how so much needs to be changed. Yesterday I caught sight of a monach in my garden, so I ran and got my camera. I got an amazing shot. It's showing proper love to my zinnia. (My zinnias are doing so well! I'm going to have to grow more next year)! Isn't it a great shot? I was so happy about it. I took a lot of other pictures--waiting to let the monarch get used to be being close--and this was my reward. Then my sister barged out the door and scared it away. Figures. Anyway. I hope y'all are having a beautiful season! I'd love to hear what you're doing! Oh, almost forgot. 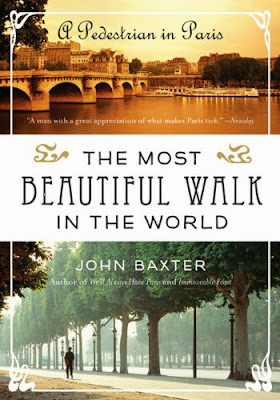 Just finished reading The Most Beautiful Walk by John Baxter. It was a very enjoyable read! It had a bit of sexual references/stories, (not unexpected when reading about French culture) but I felt that it wasn't so much as to take away from the rest of the story. There were many interesting stories about artists, personal experiences, people visiting France, and food. I just really enjoyed it. And there are tips at the end that I am definitely going to remember if I manage to get to Paris someday! Well, that's all for now. Until later!